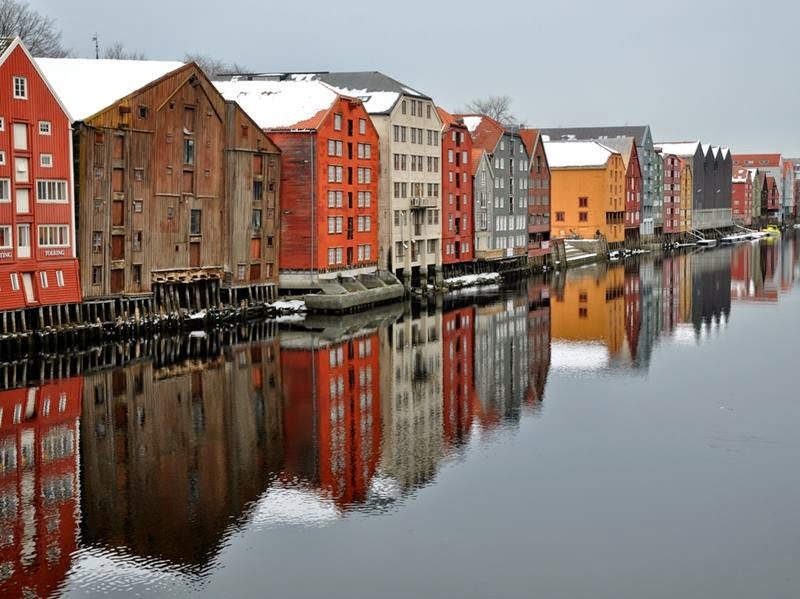 Trondheim the historic port of central Norway. 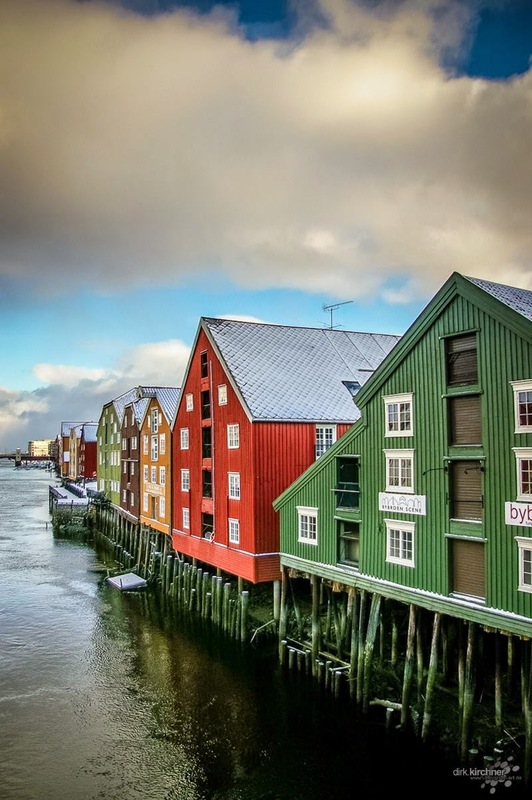 It lies on a sheltered peninsula on the southern shore of the deeply indented Trondheims Fjord at the mouth of the Nidelva river, about 23 miles or 37 km to southeast of the Norwegian Sea. 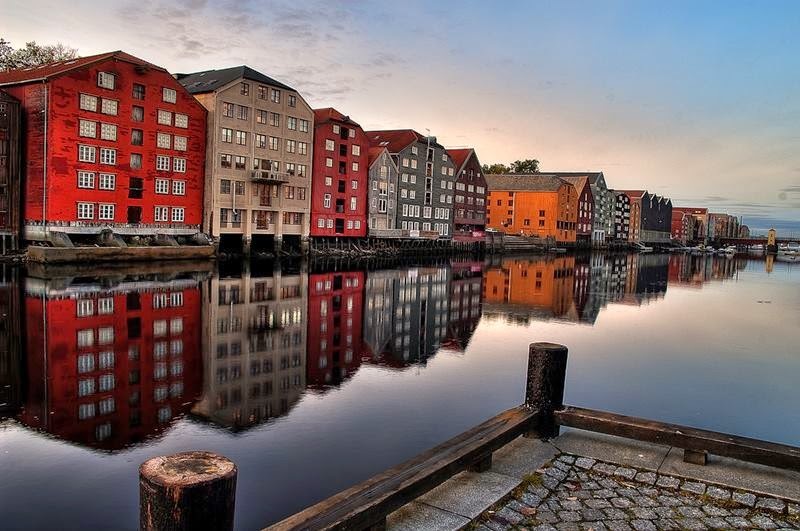 According to legend, Viking Kink Olav Tryggvason established Trondheim in the year 997 at the mouth of the river Nidelva. 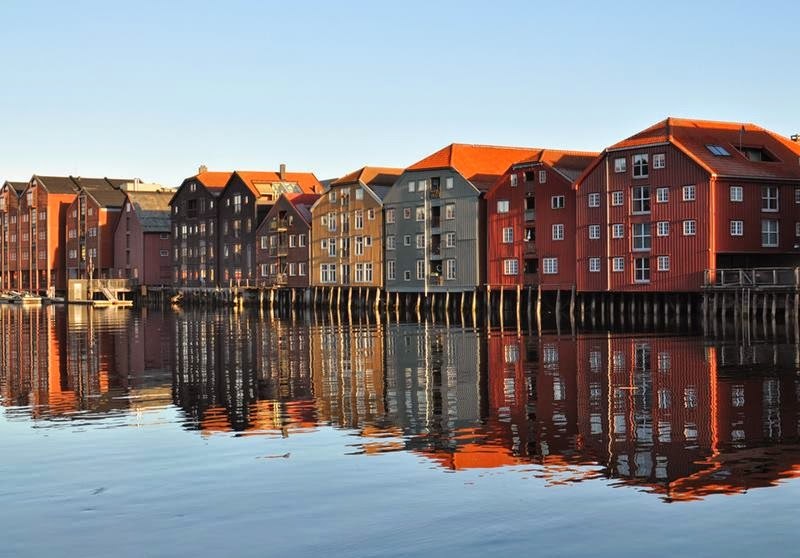 Since then Trondheim has taken a special place among the Norwegian cities. 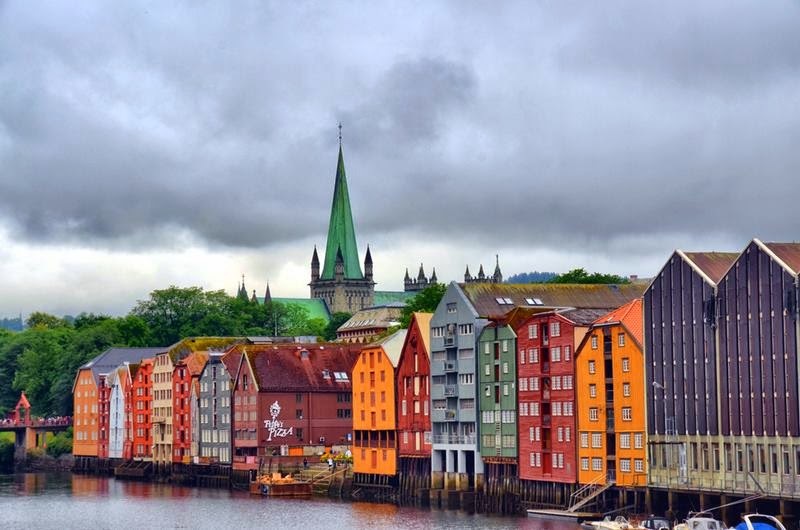 It was Norway’s first capital and since then, Norwegian kings have received their ceremonial blessings here. 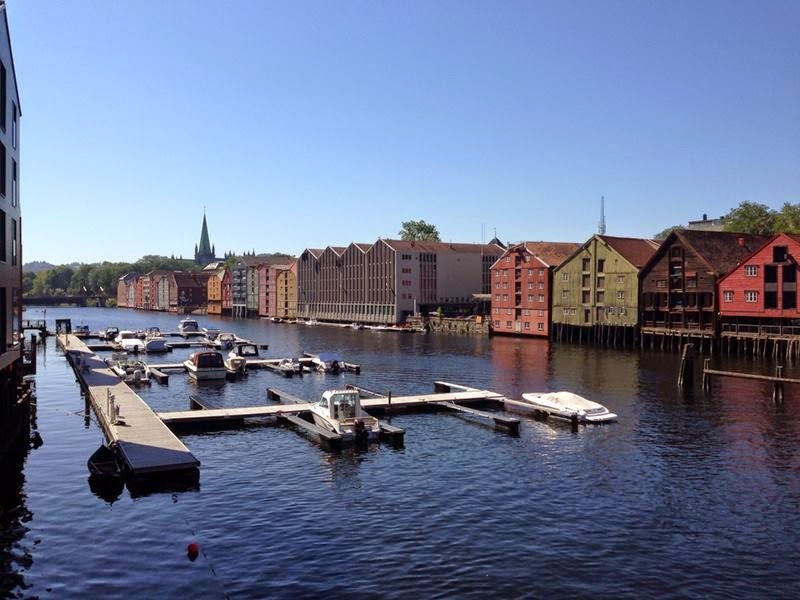 Trondheim is a modern city located next to a large fjord. With its many distinguished universities and research facilities, which are among the best in Europe, it has become a center of knowledge. 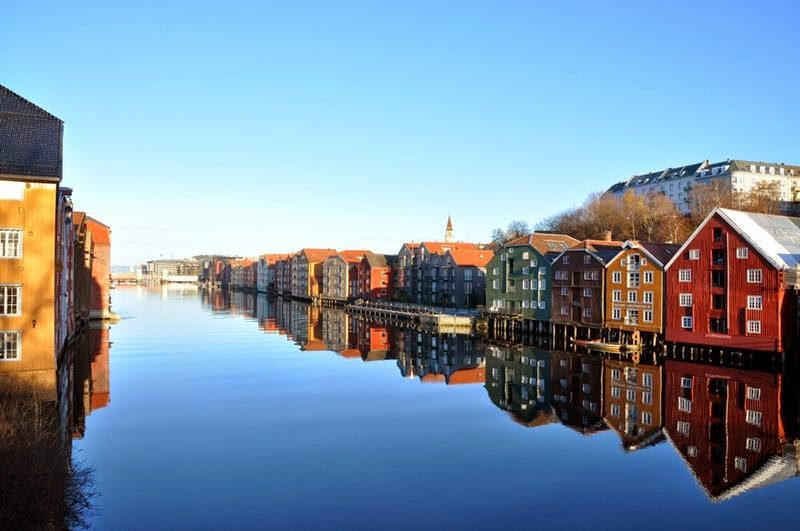 Trondheim has numerous cultural and recreational facilities. 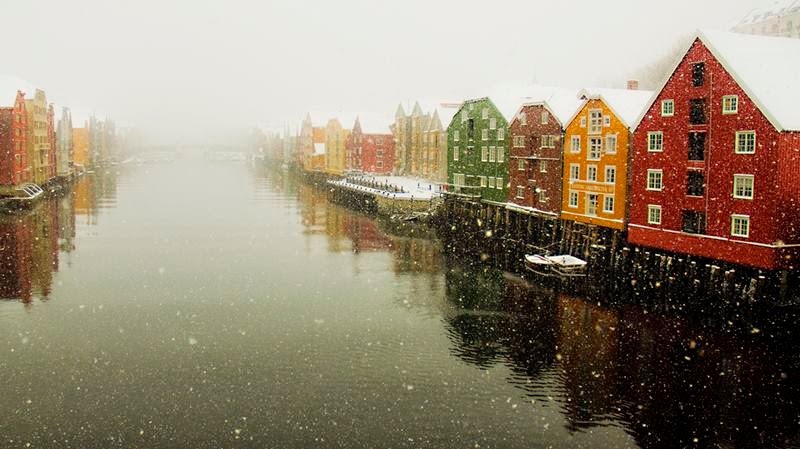 It has the charms of a historic city and the potential of a modern European metropolis. 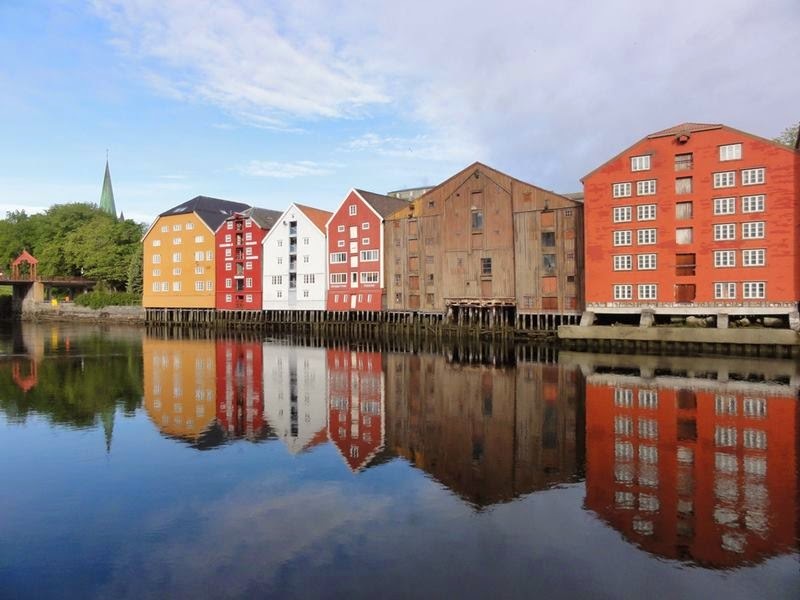 Trondheim’s citizens are friendly and social and the city is famous for its hospitality. 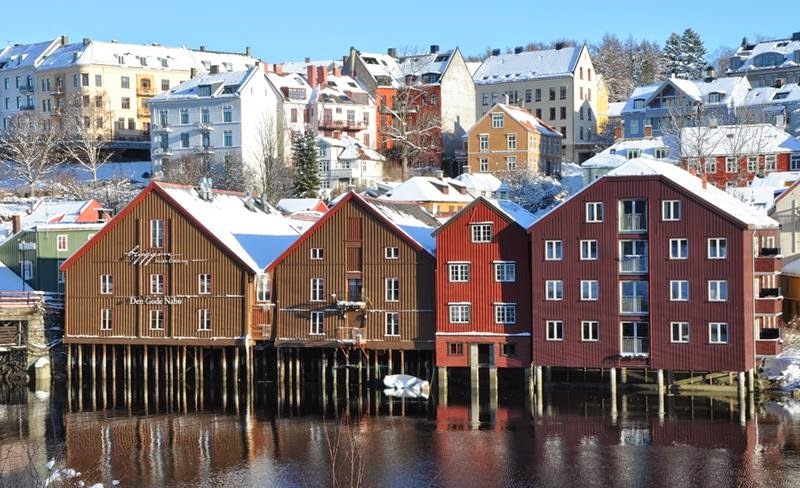 Most of the buildings here are wooden, left from the 17th, 18th and 19th centuries. 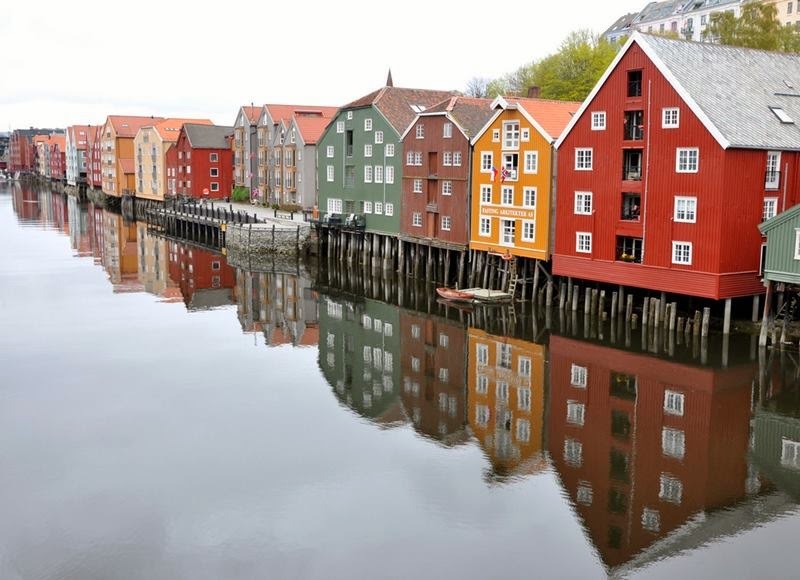 Painted in bright colours, these wooden structures make the streets of Trondheim picturesque and charming. 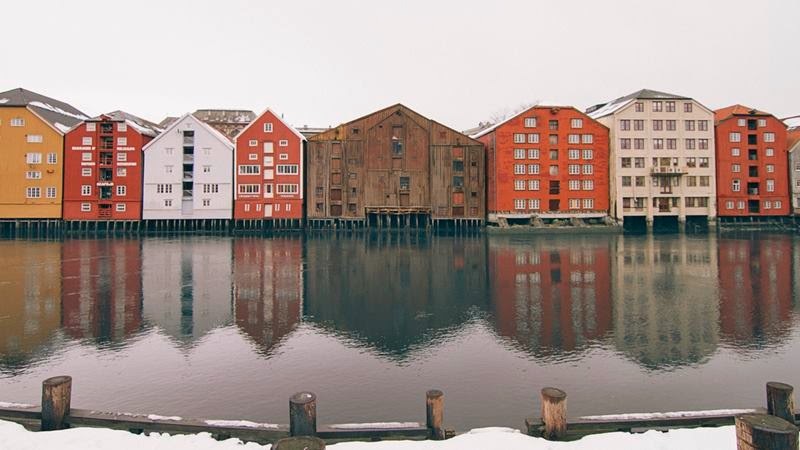 Particularly attractive are the rows of large wooden warehouses lining the river. 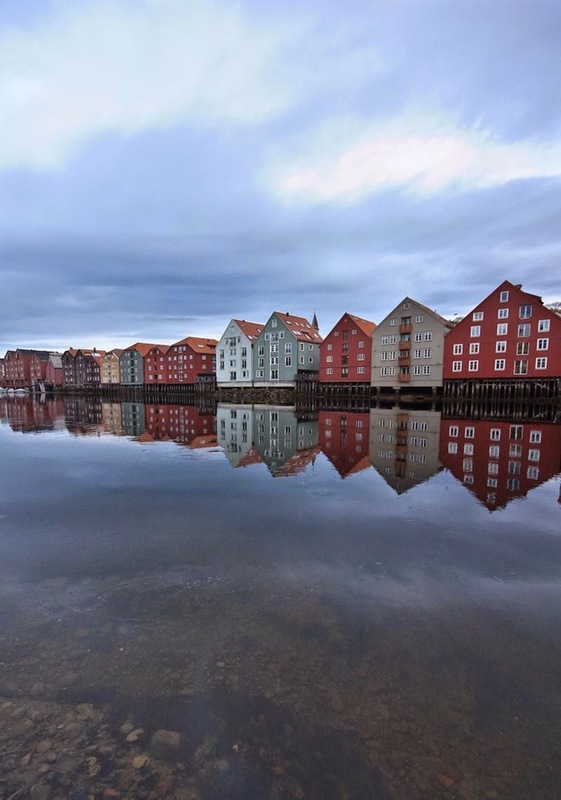 Built in the 1800′s, when Trondheim was a trading hub and a major port of call for ships travelling up and down the Scandinavian coast, most of these warehouses have been beautifully restored and converted into restaurants, cafes, shops and business premises.